The company has recently launched a new set of elevators for the low-rise and mid-rise markets. 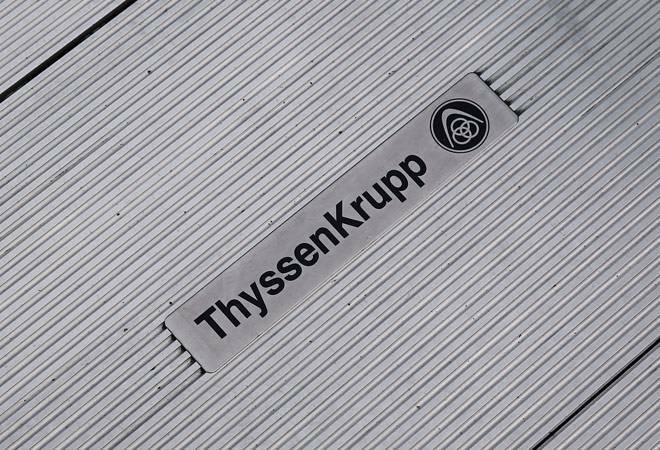 German giant Thyssenkrupp plans to expand its elevator manufacturing capacity in India to 10,000 units from the present capacity of 6,000 units because of the rising demand from its key markets in Tier 2 and Tier 3 cities. The company has invested over Rs 300 crore in an elevator multi-purpose facility in Chakan, Pune and plans additional investment for the new capacities. "About 60 per cent of the elevators in India continue to be sold in Tier 1 cities. However, with strong growth in cities such as Visakhapatnam, Raipur, Indore, Coimbatore, Bhubaneswar, Kochi, Jaipur, Surat to name a few, this ratio is set to change," said Bharat Vishnani, managing director, Thyssenkrupp Elevator India. India has a demand of about 56,000-57,000 elevator units a year and its worth about Rs 9,000 crore a year. Along with the production plant, the Chakan facility also houses a customer experience center and a training academy of Thyssenkrupp. "We can see a clear upward trend in T2, T3 and T4 cities and our objective is to harness this growth to achieve a double digit growth for ourselves. We are preparing to serve this growth by investing in digitisation, process improvement and setting up of the requisite infrastructure, including talent hiring, training and development," Vishnani added. The company has recently launched a new set of elevators for the low-rise and mid-rise markets. 'enta 100' and 'enta 200' are designed for the low-rise market whereas 'meta 100' is designed for the mid-rise market. The company makes 80 per cent of the elevators it sells in India at its plant at Chakan. It was reported in June that Thyssenkrupp is targeting annual revenue of Rs 1,000 crore from its elevator business in India in the next three years. In the financial year ended September 2017, it posted revenue of Rs 700 crore. It expects the elevator business to grow at 15 per cent annually since India being the second largest market for elevators after China.